You have a physical body that you may struggle with or confront on a regular basis. You also have a spiritual “body” that may feel weighted down by negative thoughts or beliefs. On Thursday, October 22, 2015, at 7:00 p.m. cst, during a free webinar, I will show you the tools to step into your creative power and lift that weight off your spiritual body, so you can dance with life. Ashly Torian, of Bio-Balance fame, will be my co-host. Ashly is an expert at teaching women how to step into their bodies with love. What we are today comes from our thoughts of yesterday, and our present thoughts build our life of tomorrow. What do I want to create today? Ask yourself that question just after you wake up and you are in that in-between space of dreaming and slipping back into your body. It’s that moment when you could slip back into sleep for a bit longer, or start your day. Treasure that moment in time, because you are at your most creative in that breath. Your thoughts are the purist… in that breath. Your desires and dreams are just a tick away…in that breath. Your emotions are chosen…in that breath. So choose well and choose with love. Breathe in your goodness and light and exhale your acknowledgment of all that is good. 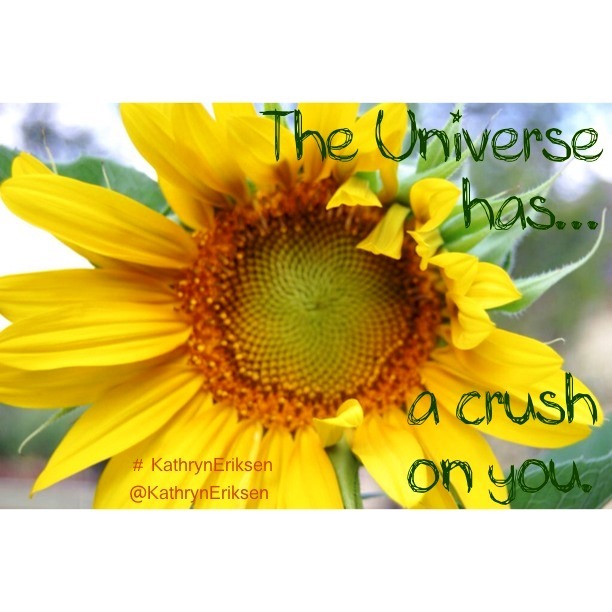 because the Universe has a crush on you. I have a dear friend (Sarah) who struggled with a seemingly impossible situation for several years. Her daughter-in-law (Amy) was rude, obnoxious and refused to let Sarah see her grandchildren. When the issue was forced, Amy was especially critical, judgmental and made the visit so unpleasant that my friend would walk away stunned, then angry. Sarah looked into taking legal action, but did not want to pursue that route. She convinced Amy and her husband (Sarah’s son) that they should all go to counseling, but that did not resolve the negativity or shared anger. Two weeks ago, I had lunch with Sarah and listened to her grief at not being part of her grand children’s lives. 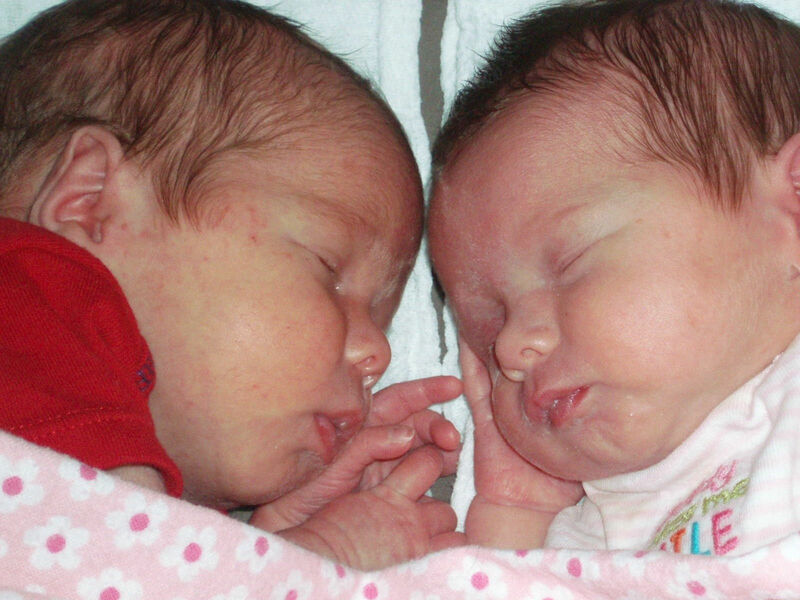 (By this time, Amy and her husband had moved next door to Amy’s parents, which was quite a distance from Sarah’s home.) I started to suggest that she strongly look into taking legal action (grandparents do have some rights in the state of Texas), but then I had a better idea. My training in the material known as Infinite Possibilities has helped me see these types of situations from a totally different perspective. The energy that Sarah was using to stay angry, hurt and resentful was also filling up any space that could be used for healing. As long as her thoughts and beliefs were grounded in the fact that she was right and her daughter-in-law was wrong, nothing was going to change. Her thoughts, words and actions were going to spring from those beliefs and Amy was going to react in kind. When she shifts her beliefs to love, kindness and acceptance, her thoughts, words and actions will also shift. I also explained about the basic principle of “Thoughts Become Things” and reminded her that it works 24/7. Currently, she was getting everything she didn’t want, because she was focused on those negative images and emotions. Change your thinking to what you do want and your outside world will also change. Thoughts are powerful bundles of energy that actually mold the energy that you live in. Why not use these principles to get what you want most in life? As I explained these basic principles, Sarah went very still and quiet. Her entire body seemed to be listening to my words. I looked to see if she was still attentive. Sarah nodded for me to continue. Isn’t that unbelievable? I was thrilled and excited that she had opened communication again and could now be the Grandmother she dreamed of being. Do you have any troubling situations or worries? If you are caught in the vortex of anxiety or anger, it always helps to take a step back and see what you really want from the situation. Follow the steps outlined above and observe how it shifts your energy, which changes your thoughts, words and actions. A key question to ask yourself is, “Would I rather be right or happy?” If you are stuck on being right, the situation will not change. But if you are tired of trying to be right and you just want happiness, then these techniques will work. Have you ever thought about your “stories” – those snippets of thoughts that you tell yourself to appease, sooth or distract? What do you do when you discover that your stories are just…wrong? See if you can relate to what happened to me the other day. My power to create stories slammed in my face on my way to work one morning. As I pulled into the crowded parking lot, another car suddenly appeared immediately behind me. I could not see her front bumper because she was following so close. There was no room for her to pass me, so she just continued to be locked to my rear bumper (we could have danced the tango!) She was obviously in a hurry and didn’t like my slower speed. I instantly felt annoyance rise up in my body but intentionally decided to just make it to my parking space. As I was walking to the building, the other driver walked a parallel path. It was drizzling and she had an umbrella tilted (her face was covered). I did not know who it was and I almost said something to her about driving too close, but decided that it wasn’t worth it. We both continued into the building through different doors. The story in my head was that this person was rude and driving recklessly in a crowded parking lot (she really was on my bumper). While I clung to the feeling of superiority for controlling my words, I still felt annoyed for being treated that way. I walked into the building toward the office, turned the corner and discovered the identity of the mysterious driver. It was the receptionist from our firm! My first thought was, “Thank goodness I didn’t say anything!” After we said our hellos, I went to my office and realized that there was a deeper lesson than the happy avoidance of a social faux pas. My “story” about the other driver made me the victim! SHE was doing something to ME. And I felt threatened, then annoyed, then wanted to project those feelings on her by words or actions. Because my “story” cast me as the victim, I felt very righteous in wanting to say something to the perpetrator. Can you see how this process flows from the source? My words or actions were the direct result of my thoughts and the story I created about the situation. I already had a prepackaged story that I immediately turned to, because I had encountered that same situation before. I was the creator of the victim story. That means I can create a totally different story to use when I encounter that same situation again! I can control my reaction to an irritating situation by deliberately moving from a victim mindset to one of acceptance and non-judgment. The power to change rests in me, no one else. When I first notice her tail gating me, I still feel a flash of irritation. But I do not want to travel down that road, because I know that it leads to upset and anger. I am in a great mood and choose not to allow an external event to disrupt it. I mindfully step into the space between feeling irritated and doing something I might regret later. A deep, cleansing breath brings me back to the present moment and away from the irritation (and the story behind it). I deliberately and intentionally say to myself, “It’s OK for her to be in a hurry.” Then, I send her a silent message of peace and love. I don’t think about her again. No irritation enters my body, I do not tense up and I arrive at my destination happy and noticing other things. The incident does not continue to play out in my mind and I am free to move on through my day. Joyfully. Isn’t that a better way to live? InfinitePossibilities: The Art of Joyful Living. A 24/7 virtual course that is delivered to your inbox once a week. The material is life-changing, empowering and affirming. And you will definitely learn how to change your stories! 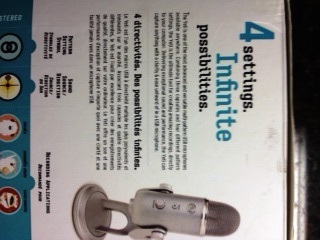 Anyone not heard of Mike Dooley’s New York Times bestseller, Infinite Possibilities? It came out in 2009, just after he appeared on The Secret. Mike has done something extraordinary. He knew that the information about “thoughts become things” creates powerful changes in people’s lives and he was very grateful about the success of Infinite Possibilities. But he wanted to reach even more people, so he had a brilliant idea. Mike created the “Train the Trainer” program, to allow other people to become certified in the IP material, so they could go out and teach it to their groups. In effect, he set up a network group of individuals who all have the same purpose – to reach as many people as possible with this transformative information. I became a Certified Trainer in June of 2013. I love to see the light bulb moment in my students’ eyes when they realize that they can transform their life – just by changing their thinking. But I became frustrated at the slow pace of teaching small groups. So I had a brilliant idea – why not create a Infinite Possibilities virtual course that people could take from anywhere? It would not cost much but it would still deliver all of the great content that I would give in person. And the best part is that it would be available 24/7, at home or where ever the student may be located. I wrote a very special e-book just for this class that I know you will enjoy. Called The Monk and the Tea Cup, it will resonate with you if you feel the least bit dissatisfied with your life. 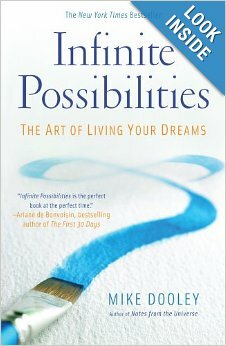 Please visit Infinite Possibilities: The Art of Joyful Living to start your journey toward your new, fabulous life!